As an attendee, you’ll learn from Tableau experts, partners, and customers, not to mention great sponsors who can help you make the most of your Tableau investment. 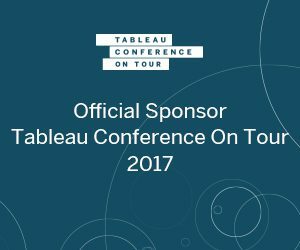 We invite you to join us at this year’s conference in London as proud Sponsor of Tableau Conference On Tour 2017. Come and visit us at the VirtDB booth on the Mark’s Market! We are exclusively introducing our latest updates for our solution that can add further value to your operational analytics and reporting using VirtDB Inc: Data Unfolder for SAP®. VirtDB’s Data Unfolder simplifies your report process by enabling self-service analytics and provides a unique, SAP compliant (ref: Indirect Access) capability to push data from within SAP ERP (both ECC and S/4HANA) straight to your Tableau Desktop or Server (or Online). SAP® end-users can analyze data from standard or custom reports, tables, views or queries in Tableau or in any other BI tool. Enable LOB to self-serve data from SAP ERP? Reduce exposure to Indirect Access usage? Increase near real-time operational reporting? Yes? Then come and talk to us and we will demo our SAP ERP Data extraction solution for you at our booth on the conference in London. general SAP data analysis and integration issues. We would be pleased to meet you in person and have further informal discussions about your SAP ERP data challenges over a cup of coffee or tea.